In a changing health care environment where patient outcomes will be more closely scrutinized, the ability to predict surgical complications is becoming increasingly important. The American College of Surgeons National Surgical Quality Improvement Program (ACS NSQIP) online risk calculator is a popular tool to predict surgical risk. This paper aims to assess the applicability of the ACS NSQIP calculator to patients undergoing surgery for pancreatic neuroendocrine tumors (PNETs). Using the US Neuroendocrine Tumor Study Group (USNET-SG), 890 patients who underwent pancreatic procedures between 1/1/2000–12/31/2016 were evaluated. Predicted and actual outcomes were compared using C-statistics and Brier scores. The most commonly performed procedure was distal pancreatectomy, followed by standard and pylorus-preserving pancreaticoduodenectomy. For the entire group of patients studied, C-statistics were highest for discharge destination (0.79) and cardiac complications (0.71), and less than 0.7 for all other complications. The Brier scores for surgical site infection (0.1441) and discharge to nursing/rehabilitation facility (0.0279) were below the Brier score cut-off, while the rest were equal to or above and therefore not useful for interpretation. This work indicates that the ACS NSQIP risk calculator is a valuable tool that should be used with caution and in coordination with clinical assessment for PNET clinical decision-making. This manuscript was presented as a poster at the Americas Hepato-Pancreato-Biliary Association meeting in Miami, FL March 20–24, 2018. AD, EWB, AGL, GP, EM, FGR, ZK, SRK, VRR, RCF, BAK, KI, PMS, HN, MB, SKM, TMP, CRS, and MD contributed to the conception and design of this work and acquisition of data. EWB, AD, CRS, and MD performed data analysis and interpretation of the data and prepared the manuscript. AD, EWB, AGL, GP, EM, FGR, ZK, SRK, VRR, RCF, BAK, KI, PMS, HN, MB, SKM, TMP, CRS, and MD revised the manuscript critically for important intellectual content, approved the final version to be published, and agree to be accountable for all aspects of the work. Cohen ME, Ko CY, Bilimoria KY, Zhou L, Huffman K, Wang X et al. Optimizing ACS NSQIP modeling for evaluation of surgical quality and risk: patient risk adjustment, procedure mix adjustment, shrinkage adjustment, and surgical focus. J Am Coll Surg. 2013;217(2):336–46.e1. 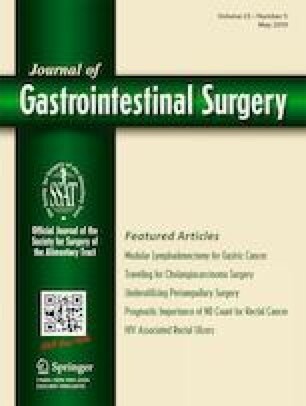 doi: https://doi.org/10.1016/j.jamcollsurg.2013.02.027. Merkow RP, Hall BL, Cohen ME, Dimick JB, Wang E, Chow WB et al. Relevance of the c-statistic when evaluating risk-adjustment models in surgery. J Am Coll Surg. 2012;214(5):822–30. doi: https://doi.org/10.1016/j.jamcollsurg.2011.12.041. Steyerberg EW, Vickers AJ, Cook NR, Gerds T, Gonen M, Obuchowski N et al. Assessing the performance of prediction models: a framework for traditional and novel measures. Epidemiology. 2010;21(1):128–38. doi: https://doi.org/10.1097/EDE.0b013e3181c30fb2. Roberts KJ, Hodson J, Mehrzad H, Marudanayagam R, Sutcliffe RP, Muiesan P et al. A preoperative predictive score of pancreatic fistula following pancreatoduodenectomy. HPB (Oxford). 2014;16(7):620–8. doi: https://doi.org/10.1111/hpb.12186.